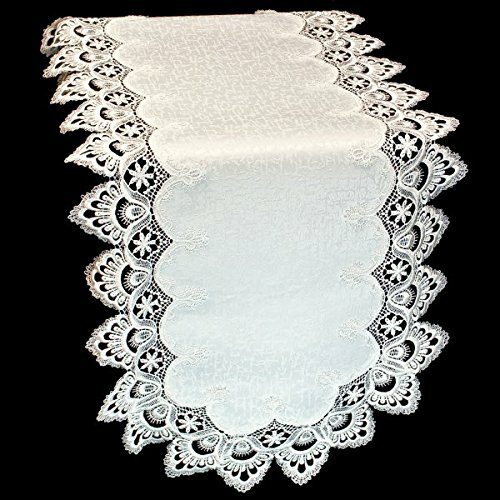 54" X 15" Table Runner or Dresser Scarf in Antique (Winter) White with European Lace. Table runner for your dining room table or a dresser scarf to protect your dresser in the bedroom, this runner will bring elegance to your home. Suitable also for your coffee table, sofa table, entry way table, and buffet. 100% Washable and machine dry on cool. If you have any questions about this product by Doily Boutique, contact us by completing and submitting the form below. If you are looking for a specif part number, please include it with your message.